Stroganoff sounds fancy. Right? Yes. 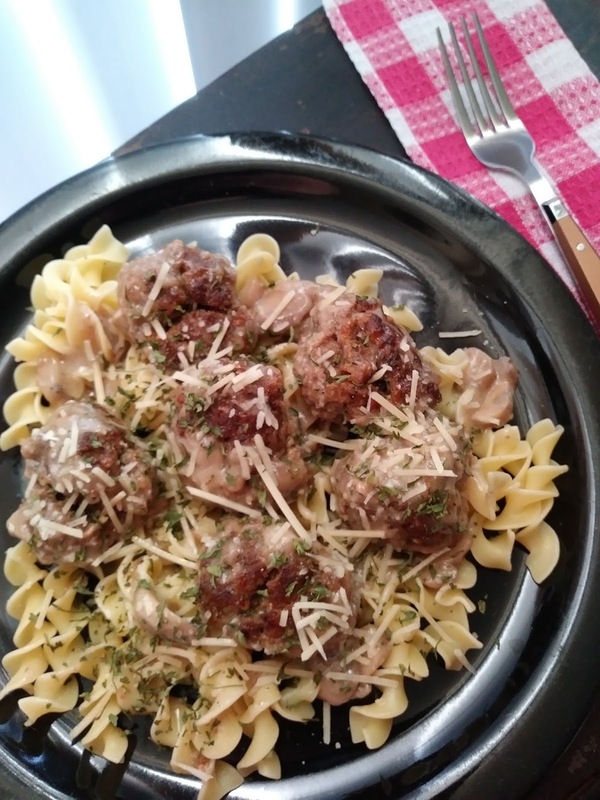 Meatball Stroganoff pairs great with your favorite noodle. In a large bowl, combine the first 8 ingredients, mix well. Form mixture into 12 meatballs and place in hot skillet. Cook until brown. 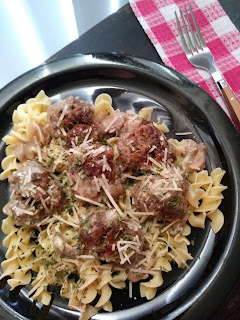 In medium bowl, combine cream of mushroom soup and beef broth, fold in mushrooms and pour over meatballs, reduce heat and simmer, until meatballs are no longer pink. Serve over hot cooked noodles, garnish with parmesan cheese and chopped parsley. This sounds wonderful, Christine! "Fancy" comfort food that's easy to make... Nothing better! So many wonderful flavors in this dish, Christine! I'm thinking I'll throw in a few more mushrooms and try to find some shitakes!! Thanks, luv! More mushrooms would be great.